Suggested $20 donation paid at door. Bring a journal and writing utensil to record notes for your personal reference. Please dress comfortably. You may bring a pillow/blanket to sit on, but chairs are also available. Art materials and supplies will be provided as needed. The true power of alchemy in this healing work is you. In healing yourself – realizing your deepest callings, experiencing transcendental states of oneness with all that is – you in turn help others to also heal. This healing extends into the natural world and beyond. Gather around the stone circle in sacred space to track your personal evolution. The path-working spiritual tools used in this journey aides meditation and other natural altered states of consciousness. Often, psychic and intuitive awareness is increased during this sacred ceremony because of the shamanic technologies used. The symbolic nature of journeying on the medicine wheel can help you access progressively deeper levels of consciousness and awareness, unlocking key insights into your grande unfolding. After 3 consecutive journeys, you gain a momentum where the inner work starts to gain traction as you learn to accept the true fullness of life. The best way to understand the medicine wheel is to experience it for yourself, so please join us! This work is guided by Nate Metz, The Green Shaman. He is a certified Field Guide and Journey Master using these protocols for group healing. This group met 22 consecutive months at CAMP Rehoboth. 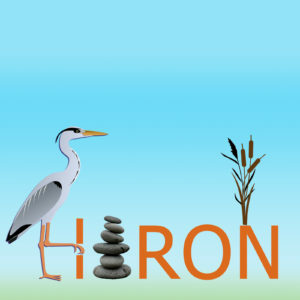 The evolution of spirit continues with new totem guardianship: Heron. This group met for 27 consecutive months at Kaya Wellness Center. Addiction Alchemy is an addiction recovery pathworking system that was founded upon Native American Medicine Wheel and Kabalistic teachings and technologies. Addiction Alchemy can help you decode and transform your life with once secret, ancient healing modalities and sacred ceremony. By tapping into the energy, power and mystery of the Medicine Wheel, Tree of Life, Meditation, Archetypes, Nature and the Elements, Animals, Energy Healing and much more you can uncover insight and information that was previously hidden and unknown to you in a relatively short period of time. Using the Medicine Wheel blueprint, Addiction Alchemy helps make personal growth work and healing engaging, intriguing, imaginative, adventuresome and even fun! This is proudly offered as a CAMP Rehoboth community supported event. Please consider making a donation to CAMP Rehoboth to support our community with ongoing programs.